Over Christmas break, I took a cruise to Middle Earth. While my wife and in-laws enjoyed the opulence of the 15-deck ship and the sights of places in Central America I no longer remember, I found nooks of solitude on the boat and on the beaches to re-read J.R.R. Tolkien’s The Lord of the Rings. For a week I inhabited a world with hobbits, dwarves, and elves, and experienced the richness of Middle Earth to a degree impossible via the brief tourist stops on a cruise ship. If you want an impassioned defense of cruising, ask my wife, but my only aim in this article is to offer three reasons why reading fiction is beneficial to Christian ministry and even spiritual formation. On Easter Sunday I was struck by one word in Luke’s account of Peter finding the empty tomb: θαυμάζω, “to marvel or wonder at.” My reflection on this word reminded me of G.K. Chesterton, who wrote, “The function of imagination is not to make strange things settled, so much as to make settled things strange; not so much to make wonders facts as to make facts wonders.” But it also occurred to me the near-constant technological innovation we encounter today has desensitized our ability to marvel, to direct our minds and hearts heavenward with a sense of awe and astonishment. A recent study from the National Endowment for the Arts suggested the rise of digital entertainment is at least one cause for why fiction reading fell to a 30-year low in 2015. Evangelicals rightly emphasize on reading theology and history but have long been suspicious of fiction. Rather than illustrate from early church history, I can point to the late 1990s, when many Christians boycotted the Harry Potter series for its supposed promotion of witchcraft. It’s not an isolated case, and Christians often suppress imagination and literature, something Boyce College professor Jim Orrick warns against. Fostering an imaginative spirit can often point us to truth by connecting to a deeper reality and reflecting the image of God in us. Before we can even experience what we call reality, the digital age has placed filters on our perception that isolate us from others and transcend physical limitations. The paradox is that, while the whole world is seemingly at our fingertips, social media compresses it into a narrow construct framed not by our own natural perceptions, but algorithms customized to our presuppositions and preferences. Imagined places, people, and plots can inspire a mutual celebration of the image of God in both author and reader. Tolkien coined the term “sub-creation” to refer to God’s endowment of freedom to humans so that they may create stories and art in their own image just as they are created in God’s image. 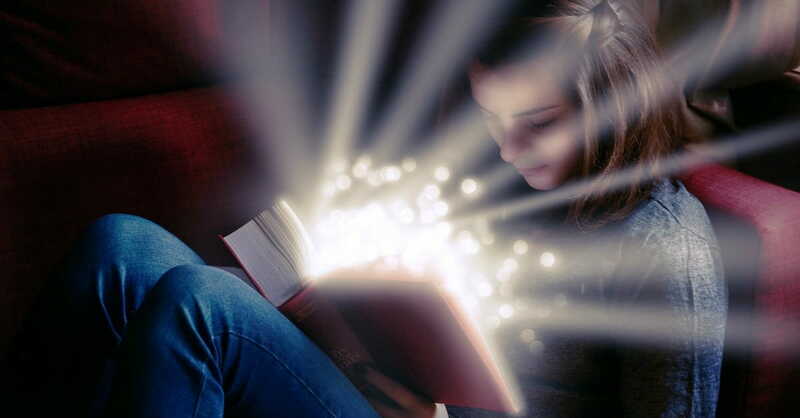 Reading fiction is an important part of learning to connect with other people because building a Christian imagination allows us to reach the imagination of others. Identifying truths about the human condition in fictional narratives prompts both personal reflection and cultural engagement as we cling to the need for rescue from our broken reality. As SBTS President R. Albert Mohler Jr. explained in his March episode of “Ask Anything Live,” reading good literature can help one “gain an understanding of the human reality and even the sinfulness of the human heart.” Fiction from authors like Fyodor Dostoevsky, Charles Dickens, and Flannery O’Connor introduce readers to characters and situations affected by the brokenness of the human condition. Reading “the right kind of literature” often means stepping outside novels as sacrosanct in our circles as Tolkien and C.S. Lewis. They may even be works or authors with a reputation for darker material, although those who actually read the books may encounter beautiful portraits of the human condition or narratives that offer a somber reflection on brokenness and suffering. One of the reasons the Harry Potter series is so significant for young readers is J.K. Rowling’s portrayal of suffering and evil, and the courage and hope necessary to face insurmountable challenges. Readers meet their hero as a lonely boy rejected by his adopted family and unaware of his destiny, yet through the lessons of failure and the power of friendship he is able to defeat the greatest evil he has ever known. This is why I also find apocalyptic fiction so alluring, especially novels like Cormac McCarthy’s The Road and Emily St. John Mandel’s Station Eleven. These works are imbued with Christian themes and, while focusing on the extreme evils that arise when misery falls on humanity, they also provide hope for living in a chaotic world. Literature that boldly explores the human condition can even provoke outrage in our secular culture. Rather than joining their protests, Christians can alert the hypocrisy of a culture incensed over immorality while attempting to deny objective moral truth. A rightly imagined world from a non-Christian author will undoubtedly contain some moral compass, however skewed, and Christians can affirm all true expressions of humanity as God’s truth. In the same way you can sometimes encounter imaginary places more truly than physical locations, fictional narratives allow us to explore the psyche of characters that can foster empathy for our neighbors, as well as the marginalized. When it was published in 1852, Uncle Tom’s Cabin galvanized the American conscience about slavery and arguably laid the groundwork for the Civil War and emancipation. As society becomes more divided and nestled in the echo chambers of our own making, reading fiction may unlock a path to reconciliation. I may never struggle with an addiction I can’t control, but I do know the tragedy of Smeagol and how his lust for the One Ring fractured his mind and isolated him from others. And while I may never know what it’s like to lose my entire family, survive in desolation, or navigate the world as an outcast because of my ethnicity, many great novels can offer a sliver of insight into those perspectives and make it possible to empathize with those who’ve walked those paths. The nuances and depth of fiction energize the imagination and inspire hope in ways that few other art forms can. The act of creating a fictional place with a people and a history is a magical exercise reflecting the creative power of God. If fiction isn’t a habit of your personal formation, resist the urge to relax your mind and marvel instead at the miracle of a good story. This article originally appeared in Southern Equip and the May 2017, Volume 15, Issue 09 of Towers, a monthly news publication of Southern Seminary covering current events and news as well as book reviews, timely interviews and more. Used with permission. S. Craig Sanders is Director of news & information at SBTS. Founder of @GKCLou. Follow him @stepcraig.